It has been almost two years since I last posted anything, and life certainly is different for us. As I’m writing this on my phone, I’m sitting on the floor next to my youngest waiting on her to come to after her most recent seizure. It’s her sixth one since last April. The neurologist doesn’t have any answers as to why she has them. She’s had an EEG, EKG, MRI, as well lots of blood work. All of those test have come back perfect. The only answers we have are: her brain looks normal and she doesn’t have epilepsy. They believe the seizures are from her brain misfiring during development and hopefully she’ll outgrow them in two to three years by the time she’s fifteen. Every time I meet with the neurologist the timeline keeps getting pushed back. For now she’s on seizure meds, I have the pleasure of recording every seizure on my phone so the doctor’s can watch them later, and all we can do is stay attentive and pray she “outgrows” them soon. My middle kid started out in Kindergarten this past September; a month later and he was back in Pre-K.
We’ve always known he had an aversion to loud sounds, and had some emotional control issues. In December he was diagnosed with Sensory Processing Disorder (SPD). Learning about SPD has been eye opening and helped us understand how and why he behaves the way he does. We are in the early days of figuring out how to help him manage the world around him without having multiple meltdowns a day. There’s so much more to learn, and I’ll have to get back to you on how it goes. A part of me wishes I had a magic wand and could make my children “normal.” While it may make life a lot easier, it would take away those things that make my children who they are. Instead I will offer up my frustration, anxieties, and fears. And hopefully, I’ll become a better person in the end. Now that all of the children are tucked into bed, I think I’m going to have a stiff drink and call it a night. 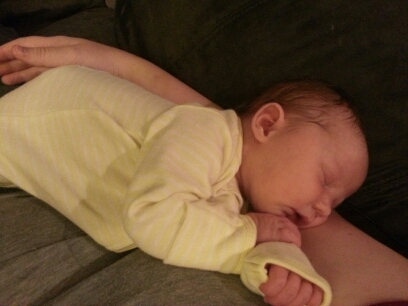 After an emotionally and physically rough pregnancy, my husband and I welcomed our third child on May 21st. It has been a very joyous, sleep deprived four weeks. I’m very thankful for my loving husband who continuously takes great care of his family, my two older children who adore their little sister and have been great helpers, for my dad for coming out here to help with my other two while I was in the hospital and they still had school, and for my mother for allowing my father to come out here to help and for her help when she was able to come out as well. I’m also thankful for all of my family and friends who have prayed for and with me during all of the difficulties I faced. I am forever grateful to you all. This pregnancy has not been the easiest and it has tested my faith in many ways. I’m not going to go into the details because that doesn’t matter. Everyone has their faith tested at some point in their life, and if you’re lucky it will happen multiple times. My faith is stronger thanks to all the trials/tests that I have faced these past eight months. I can breathe easier these days and I am at peace with many things that were troubling me. My prayer life has come back stronger than ever and I no longer feel as if I am fighting a storm. There have been several changes within my life during this time, and I am thankful for the emotional pain that went with many of these changes. I’ve learned who I can trust and depend on and who I cannot. I’ve learned just how strong I am and that no matter how bad things get and it seems as if everyone flees from your side, those that love you most will always be there for you. I am now in the last days of this pregnancy and we are looking forward to the arrival of our new child. My husband has been so very amazing throughout this tumultuous time and I am eternal grateful for his love, support, and compassion. He is my rock and I am truly blessed to be his wife. Last year I wrote about Ash Wednesday and I thought I’d share that post again. “What are you giving up for Lent?” Ah yes, it’s that time of year again and that is the question I am sure to hear frequently. Many Catholics are still stuck in their childhood understanding of giving up something for lent (chocolates, soda, or some other food item) for no other reason than ‘hey, it’s Lent and it’s what we do.’ I thought this same way for most of my life and it has only been during the last few years that I have taken the time to begin to educate myself on what Lent truly is. The name Lent is taken from the Old English word for spring, lencten. 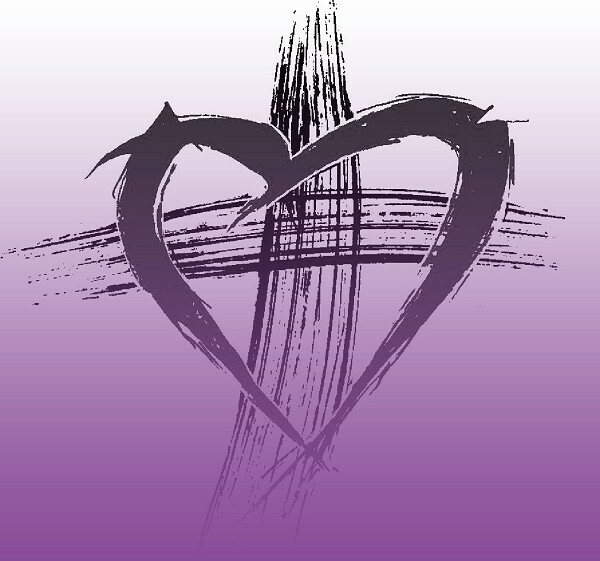 The word Lent (much like the word Easter) is only used in English speaking countries; most other languages use a word that is derived from the Latin term Quadragesima (the forty days”). In Spanish it’s cuaresma, Portuguese- quaresma, French- carême, Italian- quaresima, so on and so forth. During this time we are all called to fast, give alms, and to pray more. By fasting we give up something. That might be the television, internet, some type of food, a vice, or something else that we enjoy doing. By giving alms we are giving something to others. That might be money, possessions, or time to a charity, or some other way in which we can give of ourselves above and beyond what we do the rest of the year. By praying we are “lifting our hearts to the Lord,” and I know that we could all spend a bit more time in prayer than we do on a regular basis. 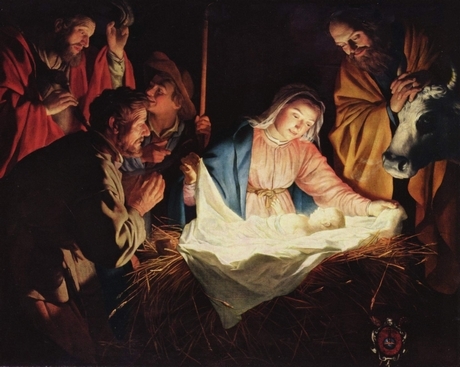 Earlier today I found an entry at the USCCB’s blog written by Msgr. Richard Hilgartner that I highly recommend you take a moment to read for yourself. It can be found here. I’ve been in the middle of a spiritual dry spell since at least early January, but it probably goes back a bit further. The only moments I’ve felt close to God have been during the RCIA classes I help teach and Sunday Mass. My prayer life has become all but not existent. It’s been a very blah time for me, but I hope that this period is just temporary. I’ve wondered why I’ve been experiencing this dryness and I have had a few thoughts on it. One of the reasons that I have thought about is how this pregnancy is going. I haven’t been sleeping – I went four solid nights a few weeks ago sans sleep. That was no fun. My hip girdle is where I’ve experienced all of my key problems. I have been having a lot of pain that has made walking on certain days all but impossible, and on my “good” days I can’t walk or stand for very long before I can no longer tolerate the debilitating pain. About the only position I’ve found any comfort in is sitting, but not for too long or my back begins to hurt. I know all of this will pass, and all of my joint pain will disappear within a few days of the little one being born. All of the pain and lack of sleep is what I think may be one of the key contributors to this dryness. I can’t focus on reading scripture, prayer, writing much of anything these days, and let’s not even discuss my keeping up with my house. I’m drained. And yet, I know that God will get me through this and I will be stronger and wiser on the other side. I will still try to focus on all the above, I may fail miserably at all of them, but I am doing my best. About a week ago I found a beautiful prayer that I keep coming back to over and over again. Dearest Mary, I look to you now for the help of your maternal love. You understand my trials as an expectant mother. You bore Jesus in your womb. You know the doubts and anxieties that beset me; you know the bodily suffering I endure. Like you, may I turn all these sorrows into joy. You overcame anxiety by a loving trust in God; you overcame doubt by gentle resignation to His will. Your motherhood lifted your mind above earth and kept it close to God. So speak to Jesus now with me, beloved Mother, as I seek prayerfully to learn to bear the trials of motherhood with joy. 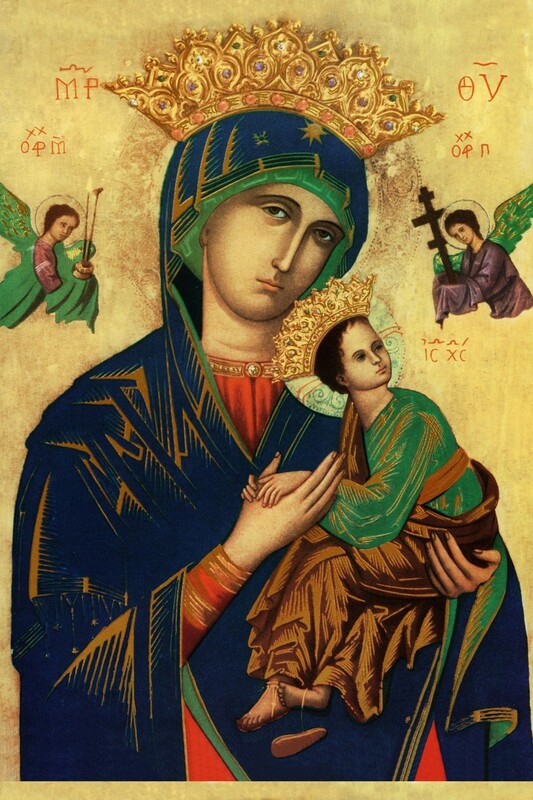 Mother of Perpetual Help, Pray for me! Father Robert Barron posted this very timely video today. One of the key scripture verses I keep coming back to is Philippians 4:6 – “Have no anxiety at all, but in everything, by prayer and petition, with thanksgiving, make your requests known to God.” It is very difficult to thank God for pain and discomfort, and yet I am. I have been “offering up” my pain for others. Here is a great explanation of what I mean by “offering it up.” And while I may feel miserable, I know that this pain can and will be used by God and for that I am thankful. I didn’t intend to take an entire month off of writing, but life had other plans for me. I was sick much of December and into early January, but after three rounds of different antibiotics I’m finally healthy. However, my kiddos began to get sick. It wasn’t anything to serious, but it was just enough to keep me away from the computer. The worst disease we faced was scarlet fever. That sounds like an old Victorian or Edwardian disease that is super scary. In our experience, and thanks to modern medicine it’s not too bad. It’s just a strep infection that causes a rash on the body, turns the lips, tongues, and eyes a red. It clears up fairly quickly with a round of antibiotics and really isn’t anything to be overly frightened of. Here’s a link for further reading if you’re interested. Now that everyone is on the mend and healthy, I should begin to resume writing a bit more often.